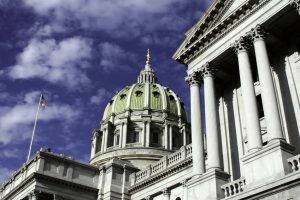 HARRISBURG – The House of Representatives approved a bipartisan proposal today that would provide a standardized process as to how public safety facilities, including state prisons and state police barracks, are closed in the future. Senators David G. Argall (R-29), Lisa Baker (R-20), Michele Brooks (R-50), Wayne Fontana (D-42) and John Yudichak (D-14) sponsored Senate Bill 748, which would establish the Public Safety Facilities Act, in response to recent state prison closures over the last few years that were undertaken with little or no input from the communities that were affected. In 2017, the Wolf Administration sought to close down at least one state prison out of a potential five prisons from communities across the state, including SCI Frackville, SCI Mercer, SCI Pittsburgh, SCI Retreat and SCI Waymart. In 2015, Governor Corbett and Secretary Wetzel closed two state prisons – SCI Cresson and SCI Greensburg. The five legislators convened a bipartisan hearing to learn about the process of how a state prison is closed, noting the shock to the communities that were notified in the 11th hour of a possible closure. The bill establishes a minimum of seven months’ notice. Under the bill, the state must notify state and local stakeholders, including local lawmakers, at least three months prior to a planned facility closure announcement. The agency seeking the closure must thoroughly review any local implications of the planned closure as well as hold a public hearing in the county where the facility is located. The agency must provide a written report detailing the recommendations to the governor and leaders in the General Assembly. If all criteria are met, a public safety facility may close no sooner than four months from the announcement. The legislation will head to the Senate for a concurrence vote then to Governor Wolf for his signature.